Super nice, well maintained townhome in the centrally located community of Oak Creek! Be in your new home before the Holidays! This home has so much to offer with 3 bedrooms, 2.5 baths and a 1 car garage. The lovely kitchen features all stainless steel appliances--tile backsplash, 42" cabinets, plus a super island/breakfast bar, and granite countertops! The spacious downstairs living area has tile flooring (just professionally cleaned and sealed in July!) and upstairs features laminate flooring throughout! The Master Suite offers a wonderful CA style walk in closet -- space for all your clothes and shoes here! Beautiful upgraded lighting, ceiling fans, and large lanai that features a side fence for privacy! 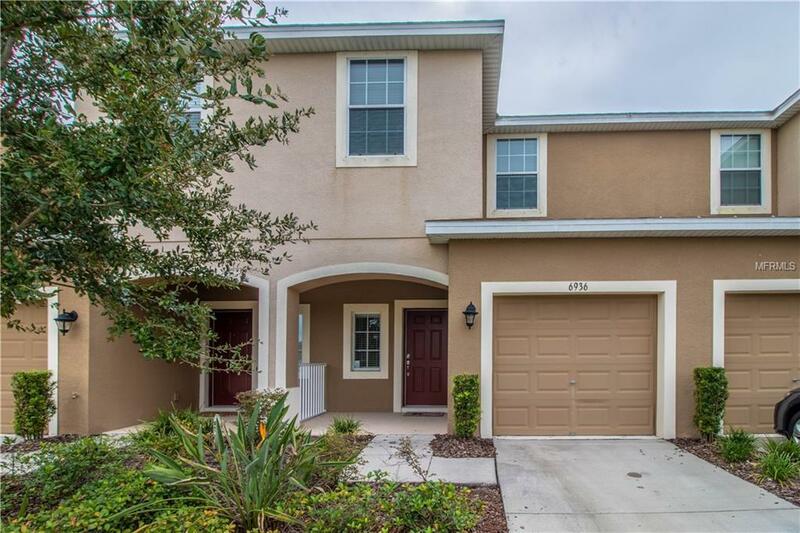 Located close to schools, shopping, movie theatre, and minutes to I-75 for easy access to Downtown Tampa, MacDill, and Tampa International. The community pool is just a quick walk away-perfect location! Make your appointment to see this lovely home today! !